Newsnight Attacks Tories from the Right? 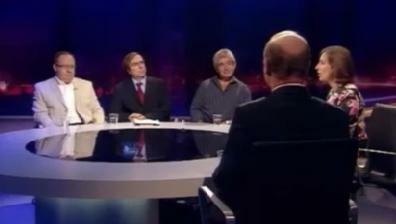 David Willets got grilled by Fatty Pollard and Peter Hitchens last night on Newsnight. What is going on? See for yourself here. UPDATE : Guido is grateful to Newsnight’s web geek for his technical help with the links and screen grabs. Still not going to get a TV licence.